No Bellevue College Parking in Eastgate P&R. Violators will be towed at your own Expense. 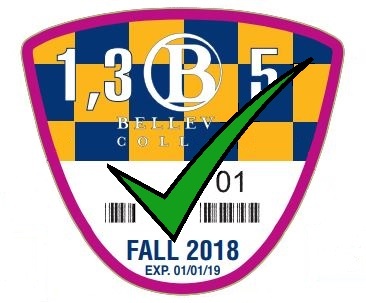 During the 2018-19 school year, Bellevue College will continue to offer a discounted Quarterly Everyday Permit valid for use in Parking Lots 1, 3, & 5 only. The price is listed below and you may select this option when purchasing your permit online. 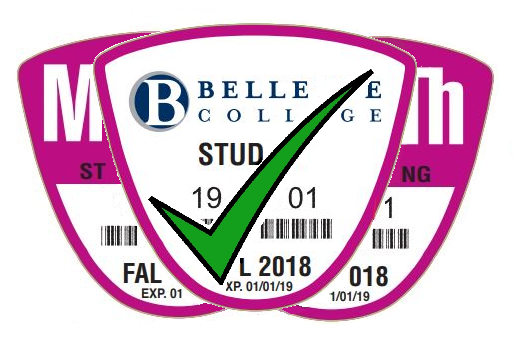 In order to purchase a student or employee parking pass, you should have your vehicle and payment information available, as well as your student or employee identification number. Be sure to include your correct and up to date email and mailing address. Your payment confirmation and Temporary permit will be mailed to the email address provided. If you are unable to access a printer, please come to Public Safety in D171 and we would be happy to print it out for you. To pay your citation online please have your license plate and citation number available. If you no longer have your original citation, please call Public Safety and the citation number can be provided to you. All visitors may purchase Daily or Weekly parking passes from parking stations located in Daily Metered parking lots 12, 16, and Parking Garage Level 5. These stations are open to visitors Monday – Friday from 6:00 am – 3:00 pm except weekends and holidays. Vehicles with properly displayed daily or weekly metered passes may park in any student parking lot. Vehicles with properly displayed unexpired Employee permits, unexpired Student Quarterly Everyday and Metered permits may all park in these lots (**Discount permits are not valid in Visitor lots**). A Visitor/Daily parking pass is $2.00 per day or $10.00 per week. Wondering where you can park? 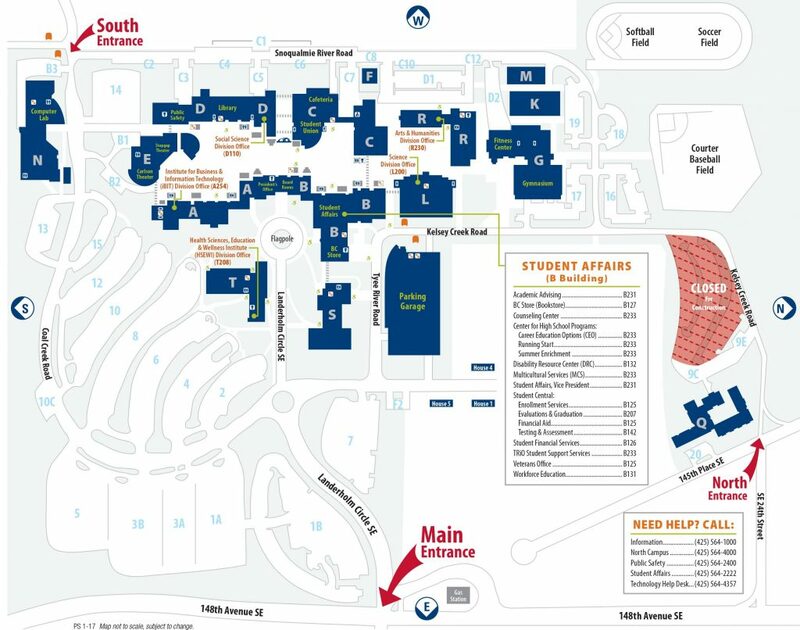 Refer to the Main Campus Parking Map. Parking permits are required in all student and employee parking lots Monday – Friday from 6:00 AM to 3:00 PM except weekends and holidays. ALL VEHICLES with expired, missing or improperly displayed parking passes will be subject to ticketing. All Quarterly Student Passes and Annual Employee Passes may be purchased online only. A temporary pass will be emailed to you after purchase and may be printed out immediately or for free in the Public Safety Office in D171. If your Temporary Permit has expired, and your permanent sticker has not arrived, please contact public safety immediately for an extension. Only one sticker will be given per order, regardless of the number of vehicles on the account. Students with an Every Day Student Parking Pass may park in Student lots as well as Daily Metered Parking. Students with Discount Passes may park in Discount Lots Only (1, 3, 5). All other valid pass holders may also park in these lots. Employees may park in Employee or Daily Metered Parking lots with valid Employee Parking Pass. Employees may not park in Student lots, including garage levels 1-4, unless in designated reserved spaces with valid special reserved pass. $2.00 Daily Permits MUST BE PURCHASED BY ALL VISITORS and are valid for all student and general parking lots. Employees, Students, and Student Employees are not eligible to use guest parking printouts from the college request center. They will be ticketed. 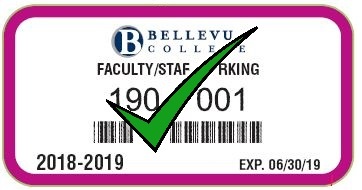 If you or anyone have any questions regarding obtaining or displaying an employee, student, guest or visitor pass, please do not hesitate to direct them to contact Public Safety in D171 directly, check out our website at http://www.bellevuecollege.edu/publicsafety/parking, or advise them to call 425-564-2400. This year, due to construction some of the lot designations have change. Please pay close attention to posted signage. Students: If your permit does not match one of the images below it is invalid. If you usually drive your car or are looking for alternatives, you can consider taking the bus, biking, or carpooling a few days a week or all the time. It’s easy to do, and BC offers great programs and discounts! Free Transportation Assistance: One-on-one trip planning. Student and Employee Subsidized Bus Pass: Double your bus money with a transit restricted debit card. Carpool with BD Zimride: Login using your BC email. Carpool Reserved Parking: If 3 or more BC students ride together, you can apply to park in reserved parking. Visitor Parking Available in Lots 12 & 16 and on the 5th Floor of the Parking Garage. Please remember that all visitors must purchase a parking pass from one of the parking stations and place it upright on the dashboard of their car.